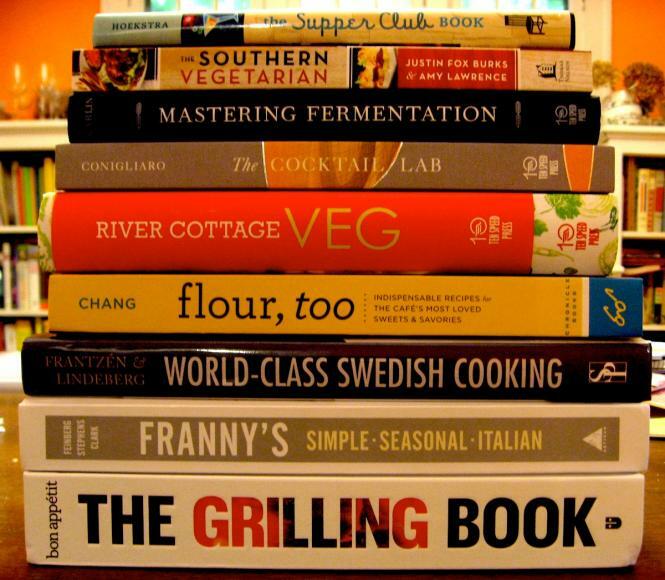 If you love cookbooks as much as I do, you’re always looking for more to add to your (already abundant) collection. As summer draws to a close, I’ve rounded up some of the most exciting cookbooks from the season, which I’ve been cooking from (and just reading) all summer and all of which I’m super happy to add to my shelves. For your cookbook-perusing pleasure, I’ve given each book a likely fan category, but many of the books include a wide variety of recipes. Here is Part II; you can check out Part I here. Wherever Hugh Fearnley-Whittingstall goes, I will follow. The man is a genius, both as a chef and farmer, but also as an author. I treasure all of his River Cottage books, though there are so many these days it can be hard to keep up (at last count, I had The River Cottage Cookbook and The River Cottage Family Cookbook, and am still lusting after The River Cottage Meat Cookbook). 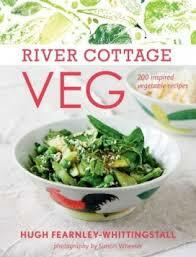 But even out of all those titles (there are many, many more), the new River Cottage Veg is an absolute necessity. At first, paging through it, the recipes seemed too simple. But then I found myself picking it up again. And then again. And then making the panzanella. And then the broiled eggplants with chile and honey. And then the raw beets with walnuts and cumin. And everything was so perfect – so spot-on precise, so colorful, so balanced. I have a feeling this cookbook is going to be well-loved (read: well-splattered) before much more time has passed. I love Southern food, and I love meat (and especially pork), but that doesn’t mean that I want a bacon-palooza every time I want to cook some collard greens or cornbread. 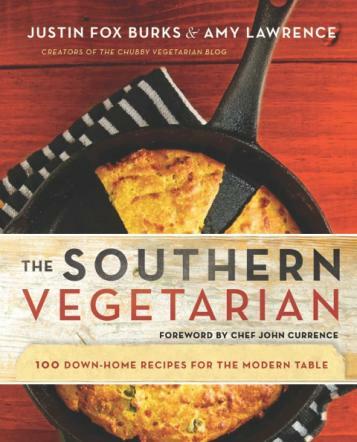 This book is not so much a “vegetarian” cookbook as it is a great – and often underexplored – take on Southern food; or, if you want to think about it another way, a new approach to vegetable-focused recipes, simply for those of us who like to eat vegetables (again, vegetarian or not!). Recipes like chicken-fried portobellos, sweet potato grits, and miracle mushroom gravy bring the flavors and the influence of the South without all that meat. I have been intrigued by baker (and chef) Joanne Chang ever since I saw her on an episode of Bobby Flay’s relatively ridiculous Food Network show “Bobby Flay’s Throwdown,” in which Flay shows up at a supposedly unsuspecting chef’s restaurant and challenges them to a “throwdown” on one of their signature dishes – in this case, sticky buns. 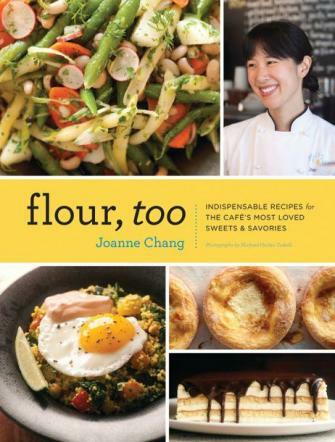 Chang, who owns three locations of Flour Bakery in Boston and Cambridge, won handily, of course. Because of geographical distance, I’ve never been able to sample one of Chang’s own creations, but this new cookbook brings them one step closer to my kitchen. No sticky buns here (the recipe for those is in Chang’s first cookbook, Flour), but instead there are tons of recipes for all those bakery savories – tarts, soups, salads – that seem so simple when I’m standing in line at the bakery, but that I can never make quite as well at home. The first recipe I cooked from this book was the decidedly un-pastry-like Buttermilk Fried Chicken (also my first-ever attempt to fry chicken at home), and I am a convert. Some cookbooks on my shelf are workhorses, the ones that get splattered and stained and creased, the ones that do the heavy lifting of the kitchen, day in and day out. Others serve a different purpose: they exist to inspire, to show how beautiful and creative food and cooking can be. I have fewer of those kinds of books, but I treasure them just as much as the workhorses. 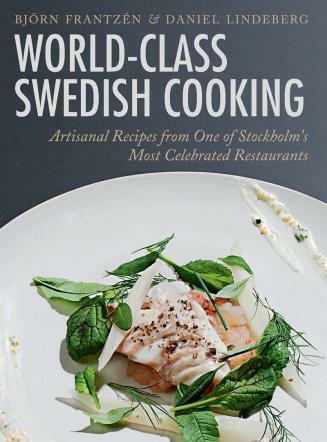 To me, World-Class Swedish Cooking is one of the latter, a book to ooh and ahh over, to be amazed by, but not necessarily to cook from (or at least not very often). Recipes like Pork Shank from a One-Year-Old Linderöd Pork, Country Chicken Roasted in Nettle Butter, and Delicate Leek Simmered in Whey aren’t the most approachable for the home cook, but they do provide some inspiration for new techniques, flavor profiles, and flavor pairings (as well as absolutely breathtaking platings). The cookbook comes from the Michelin-starred Swedish restaurant Frantzén/Lindeberg, named Best Swedish Restaurant of 2012; this book allowed me to experience the beauty and energy of Frantzén and Lindeberg’s cooking without the plane ride and the jetlag (and the hefty bill). Note: These books were all received as review copies, but that in no way affects their inclusion or review on this site. Claire Stanford is a writer and editor at Simple, Good, and Tasty. She last wrote An Interview with Elissa Altman, Food Blogger and Author of Poor Man's Feast. She also wrote this cookbook round-up in 2012. She can be reached at claire@simplegoodandtasty.com. Follow her at @clairemiye.